Happy birthday!! Congratulations on hitting the 10-year landmark!! Congratulations, John. I got a lot out of your blog. Here’s to ten more good years. Congratulations, John. I passed my 10-year blogging mark early last year, and while time passes quickly, it perhaps seems less so when I read back about all that happened during those years. 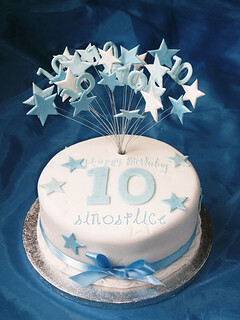 Happy birthday Sinosplice! John, your blog was one of the first I read, even before coming to China. It’s been a constant source of information, humour and entertainment. Thanks for that! I also echo your sentiments about the rewarding nature of blogging, as I’ve benefited from it in much the same way you have — especially having met some amazing people, yourself included, because of it. To 10 more years of Sinosplice. Congrats, John. Sinosplice was one of the first China blogs I read, too, even before we started working together in ’03. However, let me go on record as missing chunky salsa. Great post. I think you’ve outlined all the very best reasons to keep a blog. Keep it up. Huge, 10 years, 1500+ posts! Nothing comes easy, but to think it all started with a single blog post. Day at a time – it all adds up. Keep up the splendid work, John. Congratulations! I’ve been a regular since late 2004, and I’ll keep Sinosplice in my reading list as long as it exists. Happy blogging and thank you. This blog was a major influence in me deciding to take up Chinese, and since it lead me to this terrifying and wonderful country I do feel a kind of connection to it, so congratulations on ten years, and good luck on the next ten! Congratulations, John! Reading Sinosplice I have learned a lot, been entertained and found out about other resources as well. Thanks! Congratulations on having blogged for 10.0 years! Just giving credit where credit is due! Congratulations, John! Doesn’t seem all that long ago, does it? And I’m with JohnB — bring back chunky salsa! Congrat on 10 years! It’s been fun, informative, and fascinating following your exploits and evolution the past decade. Thanks again to Sinosplice for helping fan the flames of my Sinophilia, spurring me to actually learning Chinese, and for being such a great resource on the language, country, and culture. Here’s to ten more! Congrats! It’s not easy to keep a blog alive and relevant for that long. Have always enjoyed reading it, as well as your work on ChinesePod, and look forward to continuing, as long as you keep blogging. 10 years and counting! 艾老师 from UF recommended your blog back in ’06 and I’ve been following every since. I’ve been a reader since about 2008. Keep up the great work, John! I don’t visit here often enough, and have never wished a blog “happy birthday” before. To keep this up for 10 years is quite an accomplishment. Congratulations on this milestone. is that all ? come on John ! I think this calls for a party of some sorts ! Ten years! My goodness. I think I’ve been a regular reader now for at least seven of them. Keep it up! Congratulations on your milestone, and unfathomable thanks for your dogged persistence! Would you believe I have read all 10 years worth of Sinosplice blog posts this year? Had been vaguely aware of this blog for ages. Read the first few 2002 posts at the end of the Christmas holidays. Just kept going, mostly reading the blog on my phone during commute type downtime. Finished all 10 years worth (apart from the last couple) just a couple of weeks before the anniversary. Wow, really? What’s your impression after reading the whole thing in such a short span of time? What changes in the blog over time did you notice? It probably took a few months for you to hit your stride, but from then up until a couple of years ago, it actually reads really well as a whole. The blog entries are quite random taken individually; language, living in China, hobbies, family, friends, girls, study, work, religion and more. Read as a whole, I felt they they covered all the important things going on inside the head of someone living life to the full. The blog entries built up the story of your life on a day by day basis and I thoroughly enjoyed it. A couple of years ago I guess, I felt that you stopped writing on the blog about the things that were the most important to you. The blog entries were still individually interesting, but the narrative thread was lost because I no longer felt that I was reading the story of your life. I missed that to be honest, but I obviously respect your right to privacy and still appreciate and enjoy the effort you put into to this, so I read through to the end (so far). I see. I guess that makes sense. Thank you for taking the time to provide the reply. Happy blogiversity from me as well. It’s a pleasure to read your blog. Happy birthday and good luck with this year edition of Language Lovers!